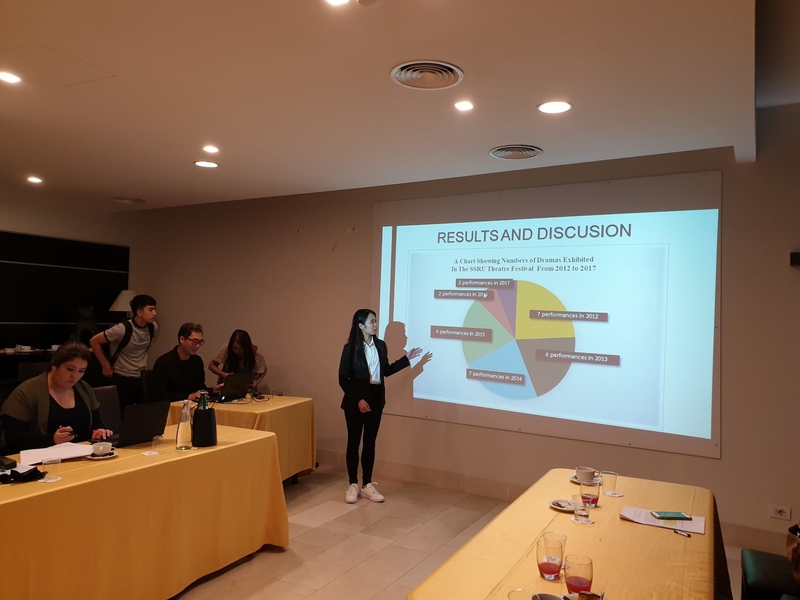 Home > News > Good Student and Awards > Dramatic students are selected to present their research in Italy. Miss Puttita Suebsa, student of Performing Arts outstanding research article ranked No. 1 at the Mini Conference of the Faculty of Fine and Applied Arts. 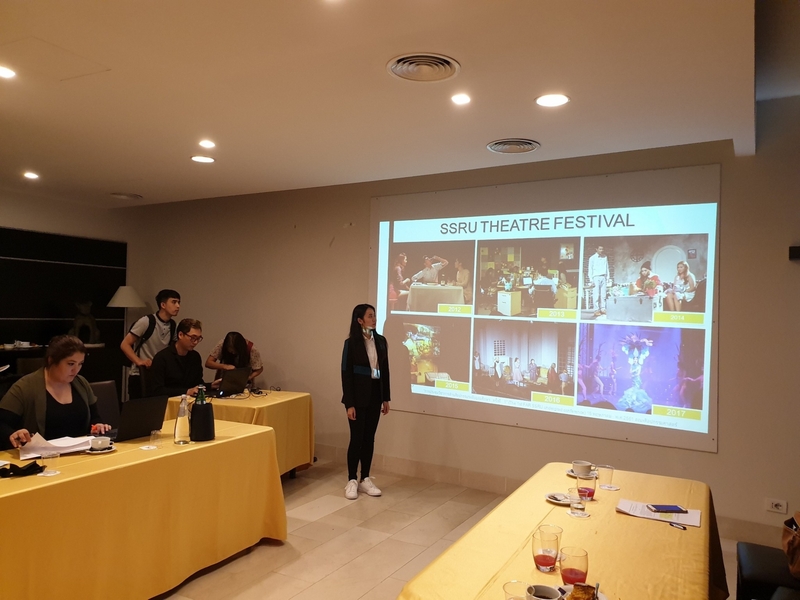 In addition, she also has been accepted and presented the research at the "2018 ICBTS International Multidiscipline Research Conference", title : "The Trend and Creation of the SSRU Theater Festival (2012-2017)". 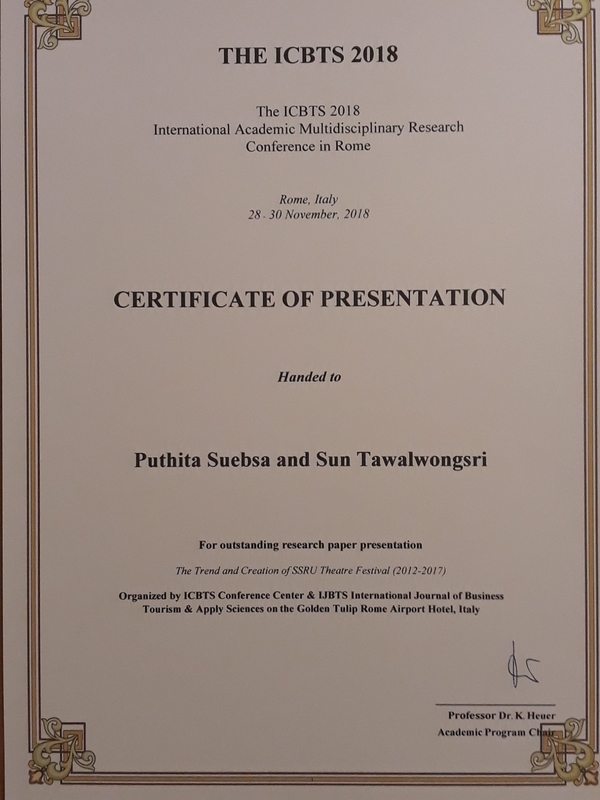 Dr.Sangwawong Wongsri Head of Performing Arts And research advisors He also attended this presentation on 27-30 November 2018 in Rome, Italy.